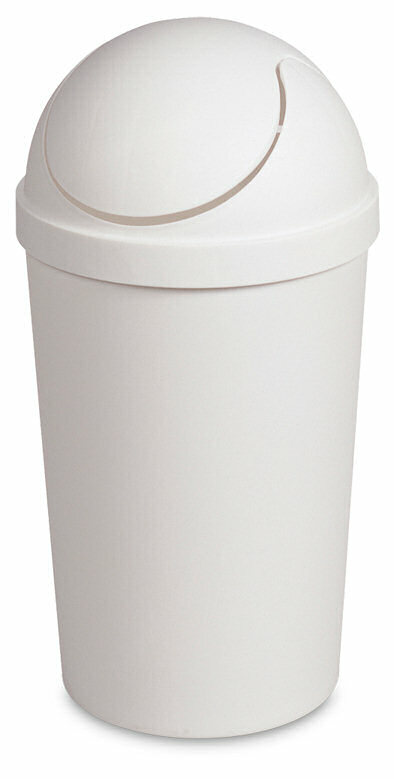 The 3 Gallon Round SwingTop Wastebasket is ideal for smaller spaces and is great for use in the home or kitchen. It features a round shape and domed-lid design that swings open and closed when pushed, for both large and small items. When the SwingTop wastebasket is closed, items are then concealed making for a more clean and organized look to wherever it is placed in the home. The combination of the polished and textured sides are easy to clean and will add a fashionable element to any home décor. 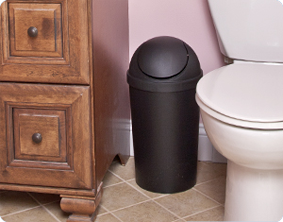 The wastebasket is ideal for use in the bathroom or office and conveniently accommodates a standard plastic shopping bag or 4-gallon trash liner. The overall dimensions of this item are 9 1/2" Dia. x 18 1/2" H.
Overall Assembled Size: 9 1/2" x 9 1/2" x 18 1/2"
Ideal for use in the bathroom or office. 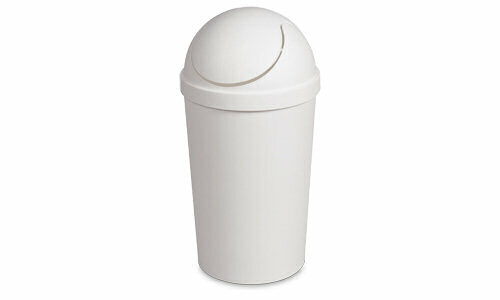 3 Gallon Round SwingTop Wastebasket is rated 5.0 out of 5 by 1.